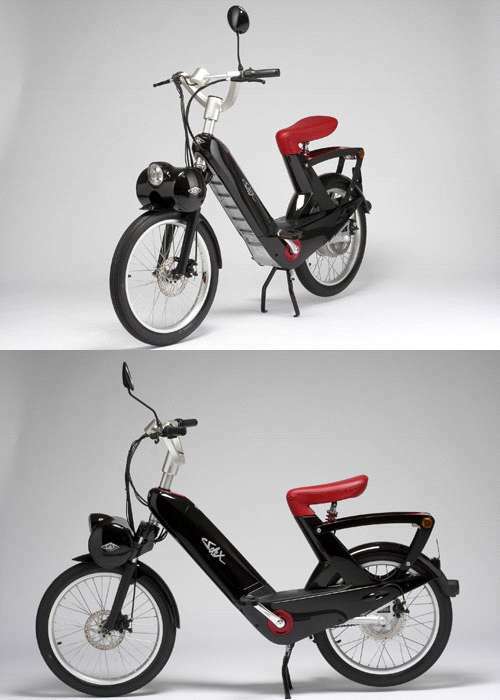 ● e-Solex: the electric-powered Solex! .........This electrical source supplies a small 36V 400 Watt engine, placed in the rear wheel hub. The e-Solex has therefore switched to rear-engine rear-wheel drive!